Common Core is so important to the open data movement, because it’s “the glue that actually ties everything together.” Remember that statement? Don’t believe your State Education Agency when it assures parents and legislators that CCSS is not connected to data collection. A repost from March 2013. 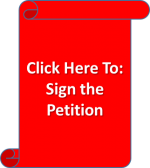 Previous PostCommon Core Informational Meeting – Monday Nov 4thNext PostMACC HITS 1,000!